Registration and Orientation is NOW!! If you have any questions, simply send us an email or call 210-617-3043. At least one parent/legal guardian and all youths to be registered must attend an Orientation/Registration. All must be present for entire presentation which includes video, photos, and measuring for gear. 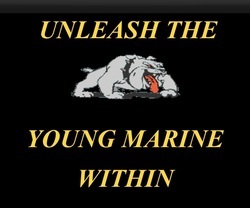 Sign Up for the San Antonio Young Marines.